Hello, blog. You seem to be showing signs of neglect. I was busy making the online world a better place ran off to Disneyland. The Disneyland in Hong Kong, actually. I had a wonderful trip. It had been a while since I’ve ventured to a new city, and HK was unforgettable. 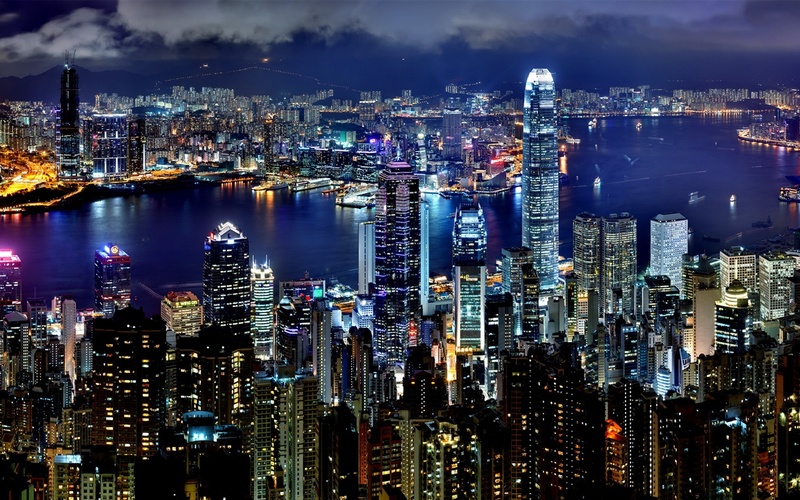 With a population of over 7 million people, Hong Kong is intense. There’s high-rise apartment buildings nestled between scenic mountains, old fishing villages and underneath bridges. With no real downtown core, the skyline looks endless. What HK lacks in size, it makes up in the amount of food and electronics it hoards. To top it off, the transit system is one of the best in the world. And, just when you think the Octopus Card is the greatest technological invention next to the turbo jet ferries, there’s cellphone service and Internet on the subway. Crazy. What I loved most of all was being immersed in a culture that’s both foreign and familiar to me. As a former British colony, Hong Kong gives off an East-meets-West vibe, mixing old Chinese traditions with modern ideas that push this megacity well into the future. It’s extreme, excessive and, most importantly, exciting. You feel like anything is possible. The Peak is the lookout point to the most surreal skyline you’ll ever see. I often wondered, how is this real and not a metropolis created on SimCity or Photoshop? Hong Kong is considered a vertical city with high-rises and skyscrapers spread out for miles, even in the residential districts like the New Territories. To go up Victoria Peak, I took an old, rickety tram (and there’s only one tram, so the wait was mighty long) up the steep hill. At the top was the Peak Tower, the Sky Terrace 428, the Madame Tussauds Wax Museum and the Galleria, a shopping mall. Aside from the glorious city view, I enjoyed the “Post Love to the Future” display inside the Peak Tower. They built a wall with 365 mail slots, each with a future date on it, where you can send a postcard to a loved one. How sweet is that? Victoria Harbour separates Kowloon from HK island, and the best view is on the Kowloon side. There’s nothing like taking a stroll along the Avenue of Stars, HK’s version of the Walk of Fame, to get a whiff of the stinky shredded squid from the nearby food stalls and to snap a good shot of the the pirate-y Aqua Luna ship. If you can believe it, there’s a 15-minute light show every evning at the harbour to attract tourists. I think HK could do without it. Taking the 5-minute boat ride across Victoria Harbour on the Star Ferry was much better. Even though I’m not religious, I like visiting temples whenever I’m in Asia. There’s something about the smell of incenses and the quiet environment that lures me in. I stopped by the beautiful Wong Tai Sin Temple in Diamond Hill and Man Mo Temple on Hong Kong Island. I didn’t make the spiritual trek on Lantau Island to the Big Buddha, but I’m sure it was a sight to see. The museums in Hong Kong are amazing. When I was visiting, I was lucky enough to catch the Andy Warhol exhibit at the Hong Kong Museum of Art. It was conveniently located next to the Hong Kong Space Museum not far from the Hong Kong Science Museum and Hong Kong Museum of History. For such a modern city, it’s surprising how often HK’s been invaded. On the south side of Hong Kong Island is a district called Stanley. The foreigners live here, I’ve been told. It’s also full of tourists, kids, dogs showing off their fetching skills and young couples having their wedding photos taken. There’s a plaza, a marketplace, a beautiful waterfront and non-Asian restaurants that serve fancy cuisine like french fries and salads. Soho is where the foreign restaurants and bars are. The roads here are steep, so much so that they built 20 outdoor escalators, called the Central Mid-levels, to ease the trip. Curious to find out what was at the top, I rode up the escalators for 20 minutes to discover…absolutely nothing. Every other day was a beach day. In a land with too much of everything, I should have known that beaches would be one of them. I stayed near Golden Beach, a man-made beach featuring a giant gold dolphin statue and dolphin-shaped trash bins. Then I hit Repulse Bay Beach, where the rich live. My favourite beach, though, was on Cheung Chau Island, a small island located about 30 minutes away from HK Island by high speed ferry and most known for hosting the quirky Cheung Chau Bun Festival. There are no motor vehicles here, only bicycles and boats, which makes for a nice escape from the city. There’s more to Chinese cuisine than dim sum and afternoon tea. How much more? Well, OpenRice, a popular Hong Kong restaurant guide, lists over 40,000 restaurants. Basically, there’s enough options to consider eating a national sport. I tried hotpot for the first time with my family. A friend of mine and Rye j-skool grad, Eva, brought me to a dai pai dong, which is an old and dying Hong Kong food concept. We also hung out in Tai Hung, a major food hub where you can find outdoor hotpot, J-Dogs, and fancy Lab Made Ice Cream. Hong Kong’s Ocean Park is similar to Canada’s Marineland, but better. There’s animal exhibits (pandas! ), amusement park rides and games (for grownups! ), the standard dolphin and sea lion show, cable cars, the Ocean Express (think an underwater-themed subway) and a giant aquarium featuring more than 400 species of fishes. On one side of park, you can look down at Aberdeen Habour and vaguely make out the famous Jumbo Floating Restaurant. On my second last day in Hong Kong, I was bored, so I went to Disneyland. It’s small and definitely meant for young kids, but the fireworks display at night was memorizing. I left with “A Whole New World” stuck in my head for three days.